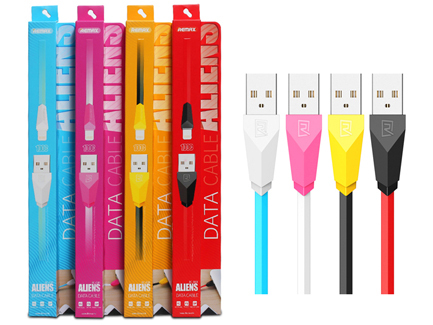 The Remax Aliens USB to Micro USB Charging and Syncing Cable is great for fast charging and high speed data transmission. Its tangle free flat design and the rust-resistant plug ensures the durability, while the environmental silicon wire finish make the cable soft, flexible and bendable. Compatible with any Micro USB port devices.